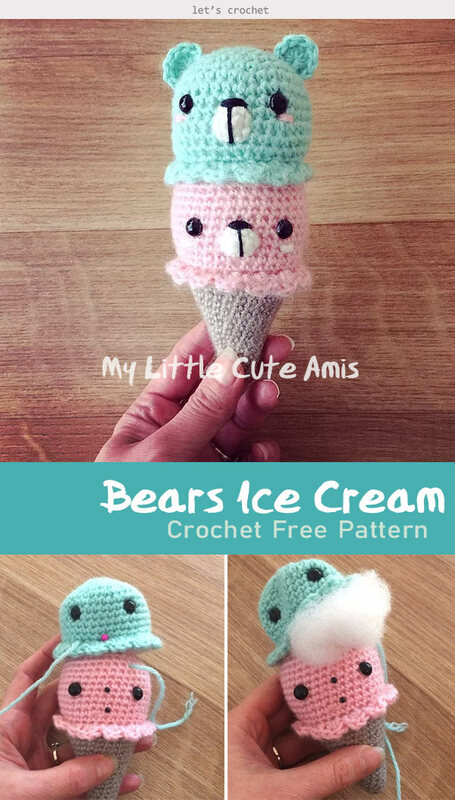 Bears Ice Cream Crochet Free Pattern is really cute and adorable. It is a easy pattern to follow for every beginners. It works up very fast, so you can make a dozens of them to decorate your home, keychain or give them to your friends as a gift for Christmas or other celebration. It is also a good chance to use up your yarn remains. Thanks My Little Cute Amis for sharing this free crochet pattern. The link for the free pattern is provided below photo. Happy crocheting.